Personalized Calendars are perfect for giving as a gift for all occasions. We comprise of various different designs to suit every recipient, and indeed every occasion. It is a perfect gift for couples, wedding gifts and anniversary gifts. Spelling both their names out on ‘his and hers’ image, this calendar is certain to put a smile on their faces. 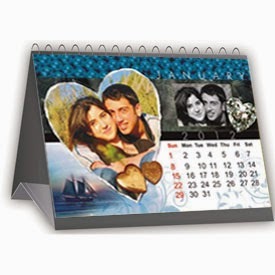 Personalized Calendar is best gift for birthdays by putting the picture of the birthday boy/girl. In addition, family picture can be added in calendar… it is a beautiful way to say you love your family.